Java is the original Sun Microsystems programming language and it’s been around the block for well over two decades. This can be used for anything from games to mobile apps, desktop software, and enterprise programs for servers. If you’re hoping to dive into Java then you’ll have a long road ahead. Thankfully there are tons of great resources that can make that road a bit easier to walk, and in this post I’ve organized the best books to aid you on that journey. Whether you’re starting from scratch or trying to improve your existing Java knowledge there’s something in this list for you. If you’re a complete beginner to Java and programming in general then I recommend a copy of Java: A Beginner’s Guide. The book is pretty detailed and for the price it covers all the fundamentals you need to get started with this language. 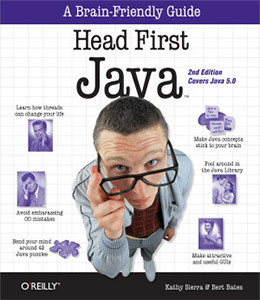 Currently in its 2nd edition, Head First Java is one of the simplest ways to dive into the complex Java programming language. The book teaches you how to write code by working on fun examples like games, quizzes, and fun little apps. You’ll learn about networking and OOP techniques all through repetition and fun practice work. 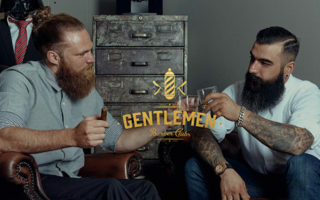 And you’ll find a ton of enlightening interviews with professional Java programmers where they share secrets of the language to help beginners learn the ropes faster. Once you know which pitfalls to avoid you’ll have a much easier time working through projects. You do not need to know anything before picking up this book. It’ll guide you the entire way through and by the end you’ll feel much more comfortable writing code from scratch. One other introductory guide I really like is Java: A Beginner’s Guide by Herbert Schildt. This is just about the same length totaling 700+ pages and it covers all the fundamentals in an easy-to-read manner. You’ll start with the key skills like basic Java syntax, compiling, and application planning. From there you’ll dive into live actionable lessons that force you to think about the main constructs behind Java code. Each chapter has a series of quizzes that force you to practice what you’ve learned and prove your knowledge. If you ever hit a chapter that seems tough it’s easy enough to go back through it again to re-test your knowledge. Plus you’ll find a ton of Q&A sections from professional Java programmers who talk about the language’s quirks and difficulties that most beginners face. Overall a very detailed book covering a lot about Java, although it may be a bit too technical for beginners to grasp. It works well if you’re willing to put in the work and Google questions along the way. Many programming books are huge and overly-technical which can put off newcomers. 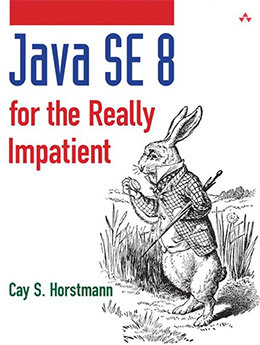 Java SE8 for the Really Impatient is the complete opposite with a shorter page length and a simpler writing style. This book specifically covers Java SE8 and the new features that come along with it. Lambda expressions, annotations, and JavaFX are all covered in detail along with many other facets of the language. You’ll also learn about concurrent programming techniques and how these change in the SE8 release(and later). It’s a very detailed guide so this probably isn’t the best book for complete beginners. However if you at least have some Java experience and want to pick up the latest techniques then this book is a fun read that’ll cover everything you need to know. The “for dummies” books are rarely worth the money if you already have some experience writing code. But for absolute beginners these books are often perfect because they’re written clearly in plain English without too many confusing terms. Beginning Programming with Java For Dummies is currently in its 4th edition covering all the fundamentals of basic Java programming. You’ll learn how to install Java, how to run & compile code, and how to practice different lessons on your own to continue learning after you complete the book. Since Java isn’t naturally object oriented this is a very in-between book. It covers some OOP ideas but it’s also a very raw look into the Java language. Don’t expect to become an expert after flipping through these exercises. They are all fairly simple and you’ll learn quickly that Java programmers always have more to learn. Yet as a simple introduction that’s easy to follow along with I would certainly recommend a copy of this book. 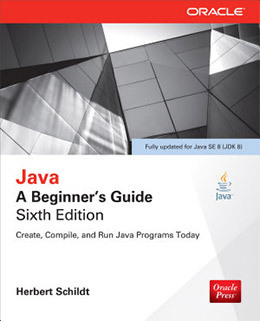 This is one of the longest running books in my list and it’s currently in its 10th edition with a full revised rewrite for the Java SE8 update. Core Java Volume I is a massive book spanning over 1,000 pages worth of theory, exercises, and detailed expressions to help you learn how Java operates. This first volume is part of a 2-volume set but this book is really the best for beginners. It covers a history of Java along with the absolute basics of setting up the environment and running code. The author also explains how to use Eclipse and the fundamentals of basic programming(event handling, inheritance, generic programming, etc). The writing style is definitely more technical than you might expect. But if you’re okay with the length and depth of this guide you’ll walk away feeling more empowered than any other book can offer. Here we have one of the best intro books to Java you can find based on writing style alone. 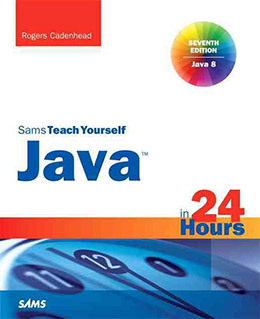 Sams Teach Yourself Java posits that you can teach yourself the entire language in 24 hours. I’ll admit this is certainly an exaggeration, but the idea behind this title holds true. You can teach yourself Java quickly by following the easy-to-digest lessons in this book. Each exercise takes you through writing a program and how it all works. Then you’ll learn how to analyze the entire process and apply those concepts to future exercises. A big part of writing Java is understanding the theory that helps you write the program. How you solve the problem is typically the first step. After that you think about how you’ll write the code to enact your solution, and this book is great at making you think about the entire process before ever writing a line of code. A top recommendation for beginners and maybe even for semi-experienced coders who want to understand Java a bit more in-depth. 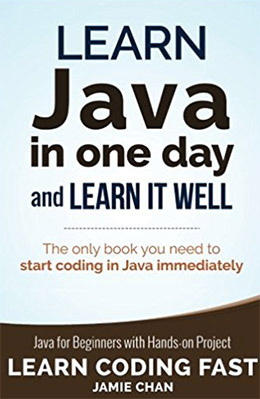 Learn Java in One Day and Learn It Well by Jamie Chan is an excellent example of how a shorter book can cover a lot of ground. This title is only 230 pages long yet it really delves into the Java landscape explaining how it works and how to write code. Some people with more technical backgrounds prefer the lengthier manuals. But for your average Joe trying to pick up Java those can be too much, and that’s one of the best reasons to consider a book like this. Over a handful of exercises you’ll learn how to install Java, write some programs, and study the code to see what makes it tick. You’ll also delve OOP concepts right away making this book a solid resource for modern-day Java work. The name is again somewhat of a misnomer because you probably won’t learn Java in one day with this book. However the idea behind the name stands true so it’s a nice resource for complete beginners to pick up some reasonable info. Presentation is everything with teaching because it’s crucial how you reach the reader and how you explain things. 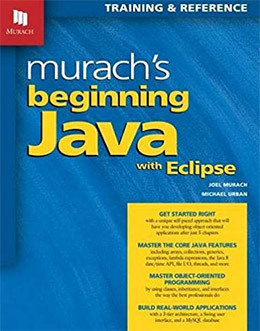 Murach’s Beginning Java with Eclipse teaches Java with code pairings and explanations that help you understand how each line of code functions. The book is pretty lengthy clocking in just under 700 pages. But it’s also a pretty simple read that teaches you how to follow clean Java development with practical exercises. With each chapter you’ll be introduced to new coding concepts by studying snippets of code. The author places blocks of code on one page while adding explanations to the other page. This way you can literally see line for line what your code is doing once it’s compiled. From basic strings to OOP protocols and I/O data, this book spans the gamut of Java topics with a clean writing style and an excellent presentation method. Perfect for absolute beginners who want to learn Java the right way. One difference about this self-proclaimed “learn in a day” book is that it also comes with video materials. That alone might sway some people towards this book because it comes with supplementary materials. 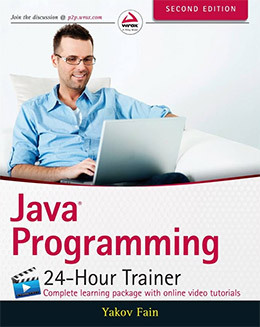 But Java Programming 24-Hour Trainer is a reasonable intro for beginners and it comes with a very straightforward writing style. Each lesson is pretty short which makes it feel like you’re moving through topics quicker than usual. This is great for newbies because it encourages them to keep going and it builds confidence along the way. Later chapters do get a bit more difficult with topics on databases and multithreading. Still I think this book offers a fine line between a college-level resource and a self-taught resource for beginners. If you do get this try to avoid the Kindle version because the code snippets are tough to read with the digital format. Currently Java 8 is the most recent version so any book covering this language is well worth the investment. 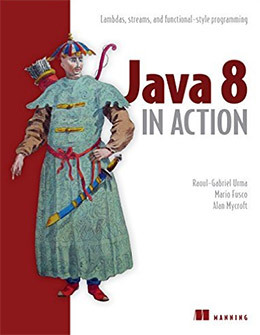 Java 8 in Action teaches you how to code Java by focusing more on practice rather than theory. It’s a pretty lengthy guide spanning 420 pages with dozens of exercises and walkthroughs. You’ll learn new concepts in a step-by-step manner that help you glean best practices for Java 8 code. One thing to note is that many code examples showcase what not to do alongside the “proper” code samples. This can be very annoying since you may not recognize which example is the correct one to follow. But if you read carefully and work through the lessons one step at a time there shouldn’t be any confusion. If you are a complete beginner this can be a decent guide, although you’ll need to do some research on your own to fill in the blanks. I more recommend this for semi-experienced beginners who want to learn Java 8 and bring their skills up a level. Performant code is a difficult topic because it’s slightly different with each language. Java is one of those legacy programming languages that still has a lot of use today, so there are many different ways to improve your codebase depending on what you’re building. Java Performance: The Definitive Guide looks at Java performance using the Java Virtual Machine along with APIs for testing. You’ll learn how to properly test your code the same way engineers and professional programmers do. 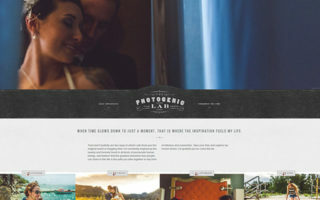 Each chapter covers a different scenario and/or technique you can apply into your own work. The book explains a lot of performance-oriented concepts like threading and synchronization. You’ll learn how to incorporate these ideas into your typical coding workflow to make your projects a whole lot faster. From Java EE to databases and custom API projects, you’ll find a little bit of everything in this 426-page resource. 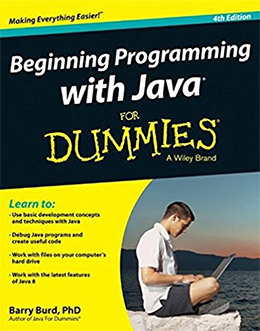 Just make sure you already have some basic Java knowledge before getting this book or you’ll be horrendously confused before page 1. This is one of the more expensive books on Java and it’s been around for quite a while. 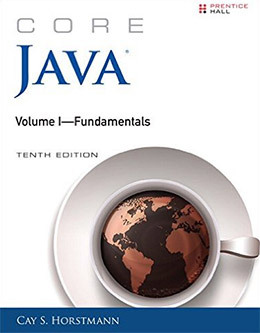 Currently in its 9th edition with almost a massive 1,000 page binding, Java Programming forces you to perform exercises and guides you through various concepts with real-world scenarios. 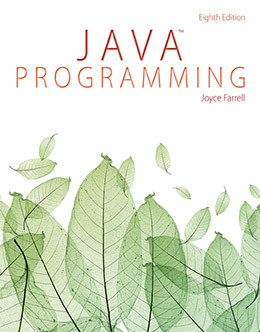 The author Joyce Farrell is big into object-oriented programming so her take on Java is very specific. She covers a lot of the basics in this book and she starts with OOP code right away. You’ll learn how to check for syntax errors, how to debug properly, add Java classes and even how to build your own classes. It does read very much like a college textbook so I can’t recommend this for novice coders. But if you feel comfortable pushing outside your comfort zone with technical lessons then Joyce’s book is phenomenal. You can do a lot with TCP/IP connections and working over a network with Java. 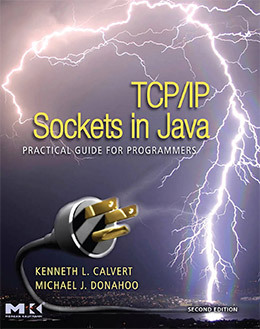 The book TCP/IP Sockets in Java offers a look into the basics of networking and how to use this in everyday project work. It’s an absolute blast to read through and this is generally considered standard reading for sockets in Java. You’ll learn all the typical libraries for sockets and UDP Java programming. Later in the book you’ll even delve into the technicalities of TCP/IP work and how this all functions on the computer’s OS. This knowledge is crucial to help you craft sturdy and secure applications which makes this book a godsend for newbies. Just make sure you already have a bit of Java under your belt so you can understand the lessons. Once you’re ready to learn about sockets this is the best book to grab. 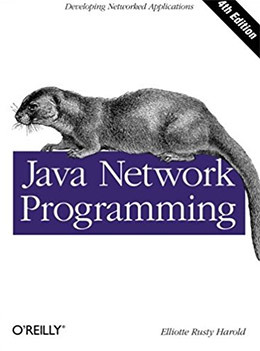 A somewhat related title is Java Network Programming by Elliotte Rusty Harold. Currently in its 4th edition this book is fully updated for Java 8 and covers a lot of detail surrounding Java networking. The Java network API is a huge topic and thankfully this book doesn’t assume you know anything about it. The very first chapter covers a bunch of vocabulary which you can always flip back to if you forget a term. As you work through the lessons you’ll learn about streams, threading, IP connections and working with HTTP proxies. You’ll also learn how to cache websites and work with sockets for both client & server machines. Java is a powerful language and you can do pretty much everything with it. This means the networking aspect is truly limitless so there’s always more to learn. Keep this book in mind if you’re hoping to nail down Java networking for practical uses. One of the biggest updates to Java is the addition of generics. These generics and classes let developers create specific methods & classes with just one declaration. These changed how Java works and the book Java Generics and Collections is the ultimate introduction to this topic. You don’t need to know anything about this subject before starting. The book is very well-written and it targets beginners who aren’t familiar with any of the concepts. You’ll learn through examples and plenty of code snippets that explain the process of building generics in real projects. You don’t need to have any mastery of Java to understand this topic. 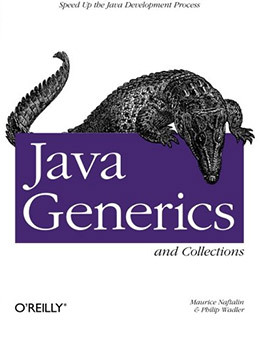 In fact, generics and collections are both covered in beginner books(although not in detail). But just make sure you at least feel comfortable writing simple programs before grabbing this book. It’s fairly simple to work through if you’re already comfortable using Java a little bit. Another newer concept that all programmers need to learn is concurrency. This practice can radically improve the performance of your applications and make your codebase a whole lot lighter. 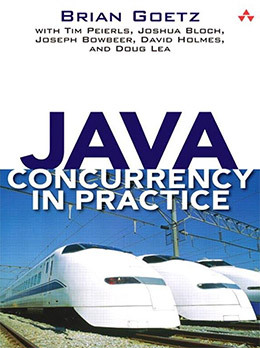 Java Concurrency in Practice takes many techniques from concurrent programming and merges them into one book. You’ll learn through tons of practice exercises how Java concurrency works and how to use this in your code. The book is a bit older so it does cover a bit more on Java 6 rather than the newest version. However I still think this is one of the best book son concurrency because it’s explained so matter-of-factly without too much technical fluff. Bottom line this book is not out of date regardless of the Java version or the publishing year. It’s still just as relevant as ever and if you’re dying to jump into concurrency this is the only resource you’ll need. Asynchronous programming like reactive programming is a big topic for higher-level languages such as Java. This also isn’t a big topic you can easily find online beyond snippets from blog posts and opinions from industry leaders. 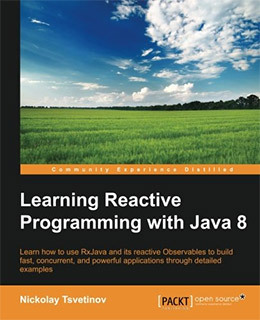 To really delve into reactive work you should pick up Nickolay Tsvetinov’s Learning Reactive Programming With Java 8. It covers a lot of the core Java features but also delves into related libraries such as RxJava. Testing and debugging are crucial to reactive programs and these topics get a lot of attention in this book. Concurrency is also a major topic since this all relates to data processing and data streams. Plus this book is fully updated for Java 8 so you’ll learn about many of the newest functional features. Just note that while this book is pretty thorough it’s also very small with only 177 pages. I’d call this more of a primer on reactive Java rather than a complete guide. It’s still an excellent way to get started and the code samples are more than worth the price tag. A while back I covered the best books on RESTful programming which mostly relate to web APIs. 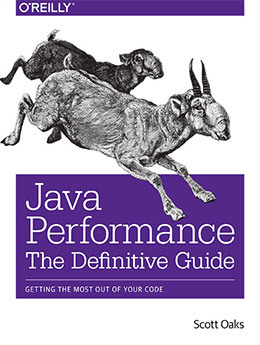 But Java takes REST to a whole new level and this book is the definitive guide on the subject. RESTful Java with JAX-RS 2.0 covers more practical techniques over theory so you can actually learn how this works in the real world. 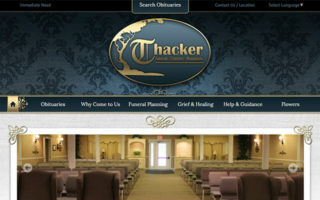 RESTful services are everywhere these days and it’s one of the most popular architectures around. 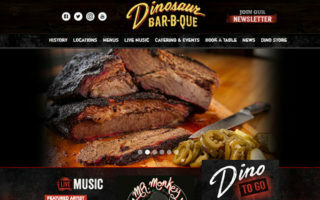 Through these lessons you’ll learn how to connect into REST APIs and how to create your own from scratch. 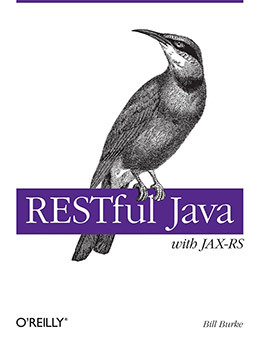 This includes plenty of detail on JAX-RS which is the go-to resource for Java REST work. Most topics cover web concepts like caching and authentication through Oauth. But you’ll also learn about server setups and how RESTful applications run on the web. I’d call this a must-buy resource if you’re even remotely interested in RESTful development on Java. 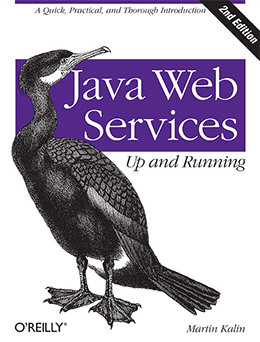 Here’s a nice companion book to the previous REST book since they both cover web services. Java Web Services: Up and Running teaches you how to design webapps using both REST and SOAP methodologies. This book also focuses on a very practical style of teaching where you learn by writing code and solving bugs. 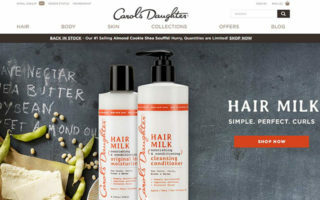 Various tools and 3rd party services are covered in detail including HttpServlet and Restlet along with the JAX-RS APIs. 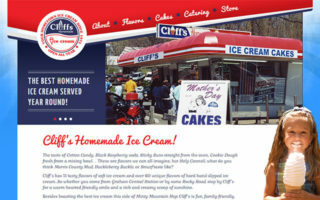 You’ll also touch upon some jQuery concepts for JS APIs and how those fit into the web services framework. Whether you want to build a Java Application Server or just want to connect into Twitter’s API for a small web service, this book has you covered with everything you’ll ever want to know. 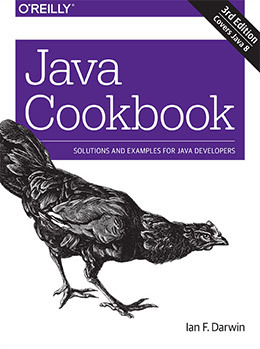 The single cookbook I recommend for all developers is Ian F. Darwin’s Java Cookbook: Solutions and Examples for Java Developers. This cookbook is currently in its 3rd edition with a total of 900 pages jam-packed with helpful recipes. You’ll find information on everything from date functions to lambda code and the newer JavaFX 8 API. Custom networking, mobile app development, server-side applications, pretty much every subject under the sun gets some coverage in this cookbook. It’s the perfect resource to keep on your bookshelf or on your desk while building new projects. Each recipe is self-contained so you can flip through and jump around with ease. Just make sure you at least understand the basics of Java before getting this book since it does cover a lot of technical ideas. Anyone who’s brand new to Java should start with a really simple book. Java: A Beginner’s Guide is my first pick although Sams Teach Yourself Java is also excellent. As you advance you’ll typically want to break into different areas depending on what you want to create. Some Java programmers want to build enterprise applications. Others want to build Android apps and some want to create Java-powered web services. Regardless of your goals I’d guarantee there’s at least one book here that can further your progress. Take another look over the list and see if any specific titles jump out.